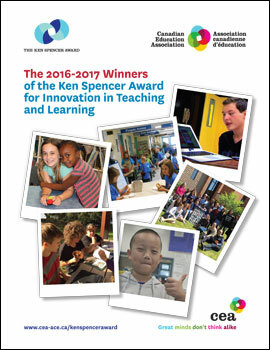 The 2016-2017 EdCan Network Ken Spencer Awards recognize the benefits of team-teaching, multi-grade classrooms, and students connecting with local businesses, organizations and community institutions as supportive learning environments that break down cultural barriers. These programs encourage students’ self-discovery that there’s more to life – and to their futures – than getting good grades. 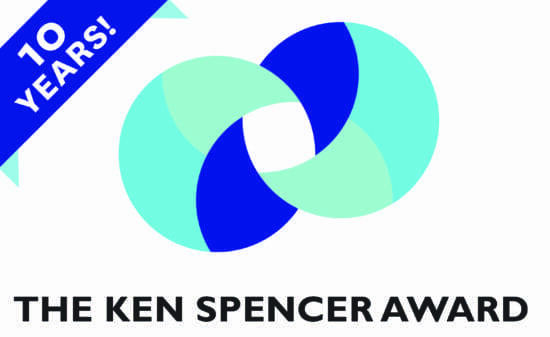 Ken Spencer Award recognition ceremonies are being planned in the school communities of the seven winners. This is the eighth year of this award, and the EdCan Network would like to thank the 102 school and school district staff for their time and effort in the preparation of this year’s award application packages. Check out our award-winning programs from 2016-2017 year. Imagine a school where children experience math by having jobs, paying taxes and running businesses that sell everything from smoothies to clothing to dreamcatchers; a place where students study logic and law by taking their peers to court and fining them in the school’s currency; a place where kids come to understand politics by drawing up their own constitution, and drafting their own bills and laws; a place where these laws are enforced by the Royal Aspen Micro Police (RAMP). Imagine a school where citizenship is not just a character pillar that is talked about, but a continuous experience in playing with the building blocks of modern society. The Aspen Heights MicroSociety is just such a place. MicroSociety is embedded into the daily program of this K-5 school and is learning-by-doing at its finest. It’s a thriving, modern-day, mini-country – complete with an elected government, entrepreneurial hub, non-profit organizations, consumer marketplace, courts, police, university/college and community gathering spaces – created and managed by students and facilitated by teachers and community mentors. By making informed decisions in a safe and caring environment, students gain insight into what to expect in the real world of business and finance while honing their financial literacy, service learning, environmental awareness, community involvement, cultural appreciation and their health and wellness. Crossing Borders includes a performance tour group of Grade 9-12 newcomer and Canadian-born youth, raising awareness about the unique challenges facing refugees, immigrants, and international students by sharing their stories through spoken word, film, drama, documentary, dance and music. 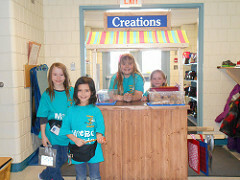 Creative pieces, designed to break down barriers are developed in a collaborative and safe learning space. Student courage and the trust of newcomer parents make it possible for traumatized youth to find their voices and thus gain a sense control and direction which helps them not only adjust to their new learning environment, but thrive. With over 100 performances so far, audiences have been moved by this first-hand exposure to the lived experience of newcomers. Crossing Borders has become a persuasive force in advocating for equity and policy decisions concerning these newcomer students, who also gain confidence and public speaking skills as they make important community connections. This sense of validation increases their resilience, improves their mental health, and has broken down this high school’s cultural barriers, where diverse students bond, share experiences and work together on meaningful projects. The Flexible Studies Program includes 60 Grade 9 & 10 students collaborating all afternoon, all year. Operated as a school within a school, the Flex model uses a team-teaching approach to integrate multiple subjects simultaneously into authentic learning situations. Students explore their own ideas and questions in meaningful, relevant ways, working together for the good of our society. To do this, Flex collaborates with local cultural institutions and businesses so that students can examine timely issues such as oceans and climate change, food security and sustainability, and Indigenous Ways of Knowing and Being, all in the context of advocating for political change. This is an inquiry learning model of what innovative teaching and learning can look like embedded in a traditional high school, where both teachers and students are challenged to take learning risks with each other to better understand themselves and their community. In this small innovative rural high school, every student enrolls in technology and skilled trades programs to prepare for future careers, citizenship and life-long learning. Using a Universal Design for Learning assessment model, teachers follow curriculum closely, but view it only as a first step to providing a more enriching learning experience, which includes student conversations, observations and the products that they create as evidence of their learning. 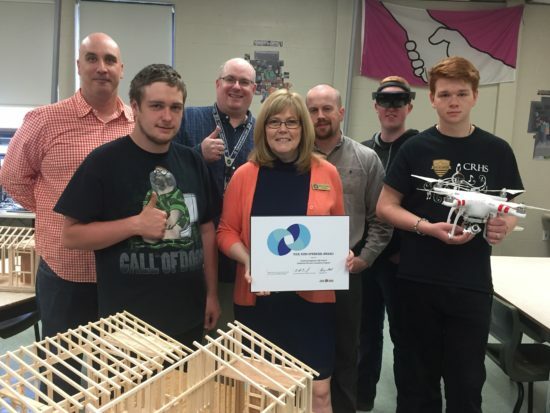 With Canada’s first Dronography program embedded into Grade 8-12 courses, the only program to create Apple iOS apps using XCode and Swift in Atlantic Canada, and a Tiny House Skilled Trades Program for school community customers, each of the diverse learning experiences available also provides students with invaluable future labour market skills. This K-7 Science, Technology, Engineering, Arts and Mathematics (STEAM) blended learning program relies on the support of parents and the community to help students – who haven’t thrived in a traditional school setting – to learn in ways that work best for them and at their own pace. This includes a learn-from-home day once a week, where parents – with teacher support – guide their children’s learning journey through online work, field trips, and by setting up communitybased business mentorships. The SAIL teaching team recognizes the importance of empowering parents and students, of nurturing a sense of empathy and belonging in their school, and they take great pride as they see the students begin to thrive in this challenging enriched academic environment. 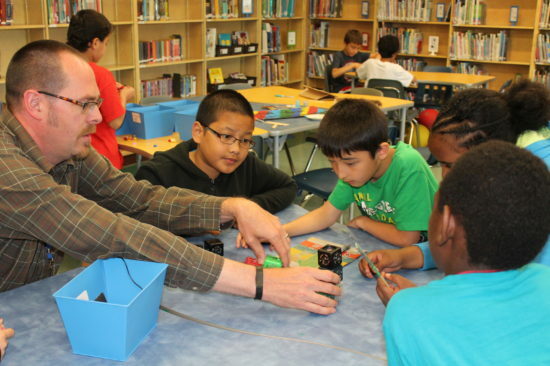 This inner-city school library was transformed into a Learning Commons Makerspace, which has provided meaningful hands-on learning opportunities for the majority English-as-an-additional-language student population in this ethnically diverse school community. Students work independently and plan their own learning using a variety of Maker materials, from cardboard to Lego robotics for engaging opportunities to think critically and creatively about their given challenge. Teacher debriefings after every Makerspace activity represent a crucial component for their own continuous learning and improvement. By listening to and learning from their students, teachers are providing relevant opportunities for problem solving and deep learning, which is equitable and empowering for all. With classroom teachers redefining assessment and evaluation practices, students quickly begin to view learning as more than a course credit. The Riverview Essentials and Extension Assessment Model provides all students with many opportunities to learn the fundamental skills and knowledge in a course and then solve real local and global problems by working with local professionals to learn skills that expose them to real careers that they could choose to pursue. From exploring the complexities of urban planning while conserving local biodiversity, to helping refine disaster management plans or designing lanterns for light poor regions, students are learning about the tensions that arise at the intersection of economic growth, environmental sustainability, renewable energy and rapidly aging demographics. Classroom conversations have changed from: “How much is this assignment worth?” to: “What will I learn, how is it related to my future, and how can I follow my passion?”. We thank all applicants for their submissions. Our next intake for the 2019 Ken Spencer Awards will be announced in September 2019.